We produce a wide assortment of Shim in sizes and alloys to meet your immediate needs. We can also custom manufacture to your specifications. 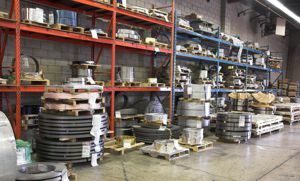 We also carry an extensive inventory of alloys to ensure fast turnaround. Talk to our experts about our in-stock inventories. Our market knowledge and experience also allow us to source your custom requirements at favourable market rates.